The Drift Messenger Bag from Mountainsmith is perfect for those less challenging and strenuous hikes. Each bag is equipped to hold water, snacks, and a light jacket. The Drift Messenger features a removable shoulder strap, a waist belt, and side compartment to hold a 22 oz. water bottle. 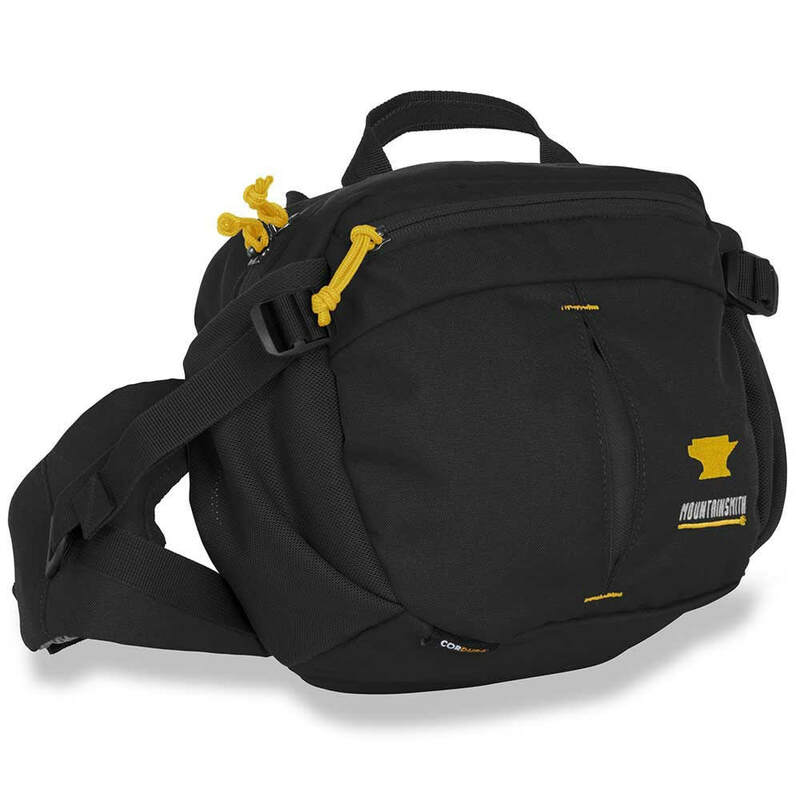 The bright yellow lining on the inside of the bag also helps increase visibility to easily see the contents of the bag, and also includes a headphone port. Actual bags weighs 12.75 oz.